Ultimate girl crush and #feedgoals for life! 1. She knows how to make her #ANNEventure posts so extra! Going on a winter vacation? Take your snow shot up a notch by capturing its beauty at night. For your OOTD, ditch your dark coats and go for light-colored winter gear to add some brightness to the shot. Just check out how refreshing Anne looks in this post! She puts the WIN in winter. 2. She takes pet selfies to a whole new level. Just like when she took Pancho and Princess out for a walk…in 6-inch heels. We're pretty sure we'd end up with a sprained ankle if we ever attempt this! 3. She never fails to dress up for the shot. Go for bold pieces to make a sartorial statement! We love how Anne toughened up her floral skirt with a fierce jacket and made her look even more double tap-worthy. 4. She's not afraid to take a risk and always makes it look cool AF. When you’re about to take on an extreme adventure, the best way to be camera-ready is to ditch the usual smile-for-the-camera shot. Live in the moment and soak up the fun! You’ll end up with post-worthy action shots that will definitely up the likes, promise. 5. Everything becomes perfect when you get a glimpse of her smile. Always flash your most beautiful and most genuine smile as it just lights up any captured moment. You'll never go wrong by showing off your pearly whites! 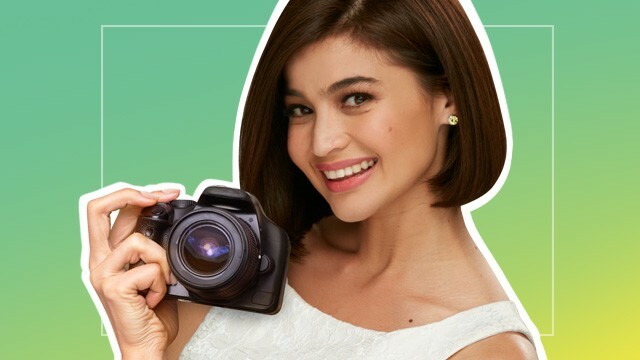 With that kind of feed, no wonder Anne Curtis wants to dip her toes into the world of photography. And this just in: She'll soon be crossing one more item off her bucket list by putting up an intimate photo exhibit for her family and friends very soon! It's a super private event, but don't worry, CGs. We’ll be there to give you exclusive behind-the-scene deets, so you better stick around for that!